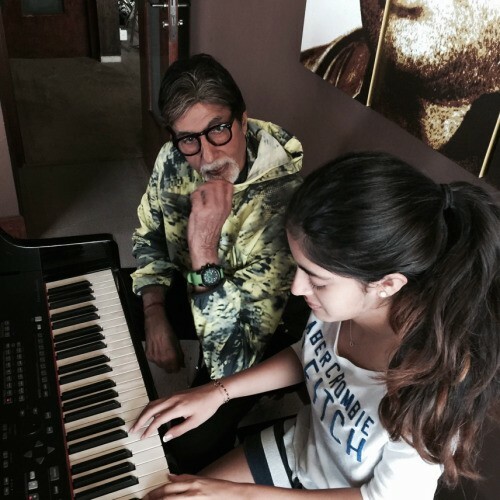 Amitabh Bachchan’s Granddaughter, Navya Naveli… A Star in the Making? 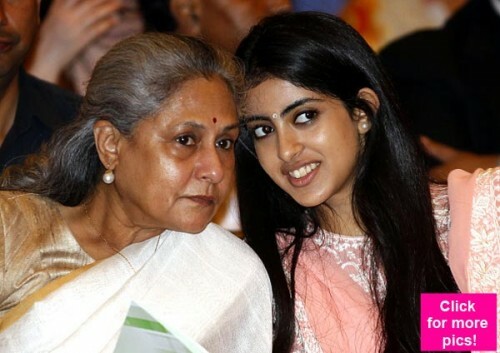 Home → Audio, Videos & Photos → Amitabh Bachchan’s Granddaughter, Navya Naveli… A Star in the Making? Navya Naveli, the granddaughter of Amitabh Bachchan is all grown up and turning into a stunning and elegant beauty. 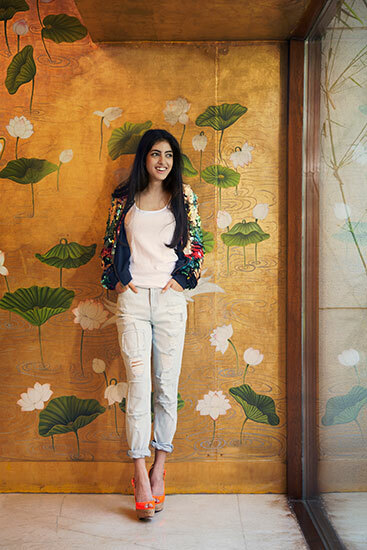 This third generation Bachchan family kid daughter of Shweta Bachchan Nanda and Nikhil Nanda who is also the grandson of another legend ‘The Show Man’ Raj Kapoor. Navya was seen recently at the Padma Awards ceremony held at the Rashtrapati Bhavan where her grand father was awarded with the Padma Vibhushan. Looking rather pretty in a peach coloured embroidered salwar-kameez, she sat between her aunt Aishwarya Rai Bachchan and her grand mother, Jaya Bachchan. Currently, she is studying at Sevenoaks School, London. 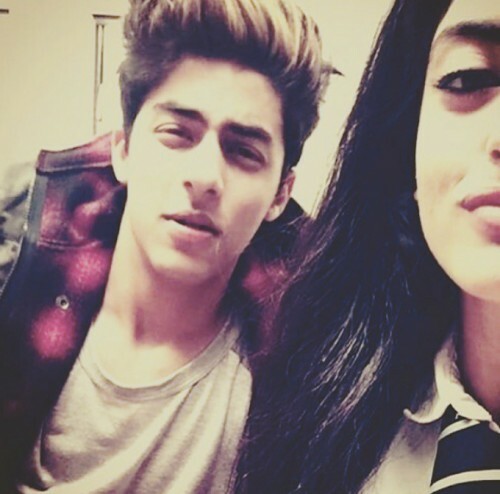 Incidentally, Shah Rukh Khan’s son Aryan Khan also studies in the same school. The duo appear to be good friends and seem to be enjoying school life. 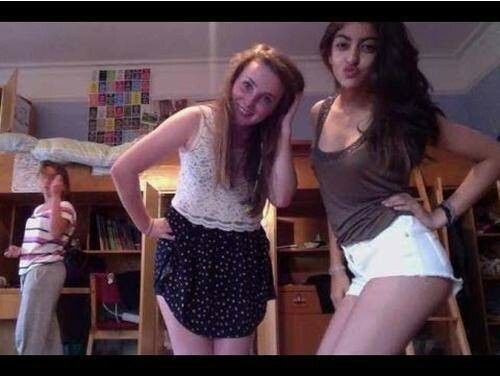 Here are some pics of Amitabh Bachchan’s Granddaughter, Navya Naveli and SRK’s son, Aryan Khan having some fun times with their friends. Given the fact that Navya has style and acting in her genes from both her mother as well as father’s side, it would be too bad if she didn’t join Bollywood. While, she may or may not follow her grandparents’ (both paternal and maternal) footsteps, but with such an an enviable gene pool, style and looks, she could be the next star-in-the-making. 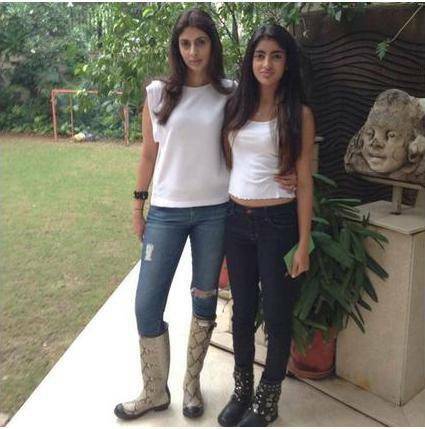 You think, Amitabh Bachchan’s Grand-Daughter Navya Naveli is a star-in-making?